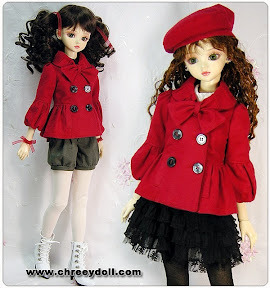 If this little doll could have a coat this adorable, then why shouldn't my little doll have one too? Merry Christmas little doll! 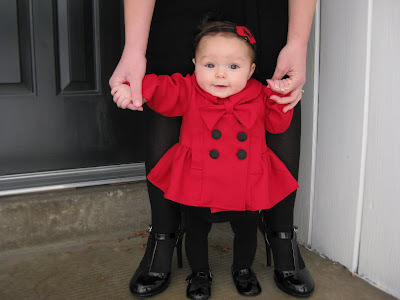 Your first Christmas outfit. I had all sorts of plans for the traditional "Christmas Dress" to go with it, but, well, you weren't the only one I was giving handmade gifts to this year and I'm still getting used to this whole two kids thing. But don't worry. There's still Easter, and your uncle is getting married in May. There are plenty of dresses in your future. I used McCalls Pattern 5739 as a starting point, and then changed everything. Why do I always have to complicate things? I lengthened the top, added a shortened ruffle, placket, pocket flaps, and changed the collar. Oh, and added a loop to make it look like a tied bow without adding bulk. I keep finding out new things about how babies are built every time I sew. Babies have practically no necks (like teddy bears) so even the collar was pushing it. Hence, a bulky bow was out. Besides, who wants to tie a knot every time you put on a coat. The ends of this collar just slide through the loop. I also tried out the bubble hemmed sleeves, but on a baby, they just looked too huge and unbalanced. I wonder what I'll learn next time. She is GORGEOUS! And the coat made me gasp! Tabi, your skills kill me ! (in a good way). I also love seeing the pictures of little Teagan. She is a sweet heart. um hello? Are you serious! 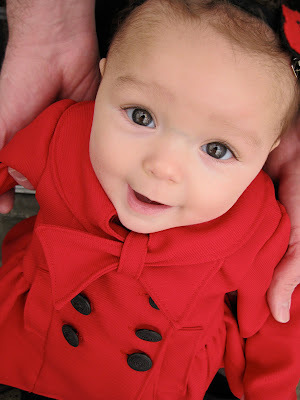 This I think is by far the most beautiful baby coat I've ever seen. Love the bow, the ruffle (her adorable little face) EVERYTHING. Can I be like you when I grow up? Like the other commenters, I am totally impressed. Gorgeous coat and amazing improvising. I think you should create patterns. 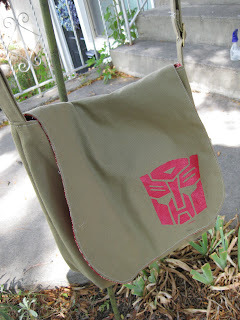 I would love to make something like this, but not sure I could figure it all out on my own. Love all the details. Great work. absolutley gorgeous, would love that coat!! !